ChargeIt by Jay Arizona Gold/Clear Glass Charger Plate 13"
Home > Products > ChargeIt by Jay Arizona Gold/Clear Glass Charger Plate 13"
An intricate addition to high-end restaurants or formal dining, the ChargeIt by Jay Arizona Clear/Gold Charger Plate 13" beautifully frames plates, platters, and bowls. 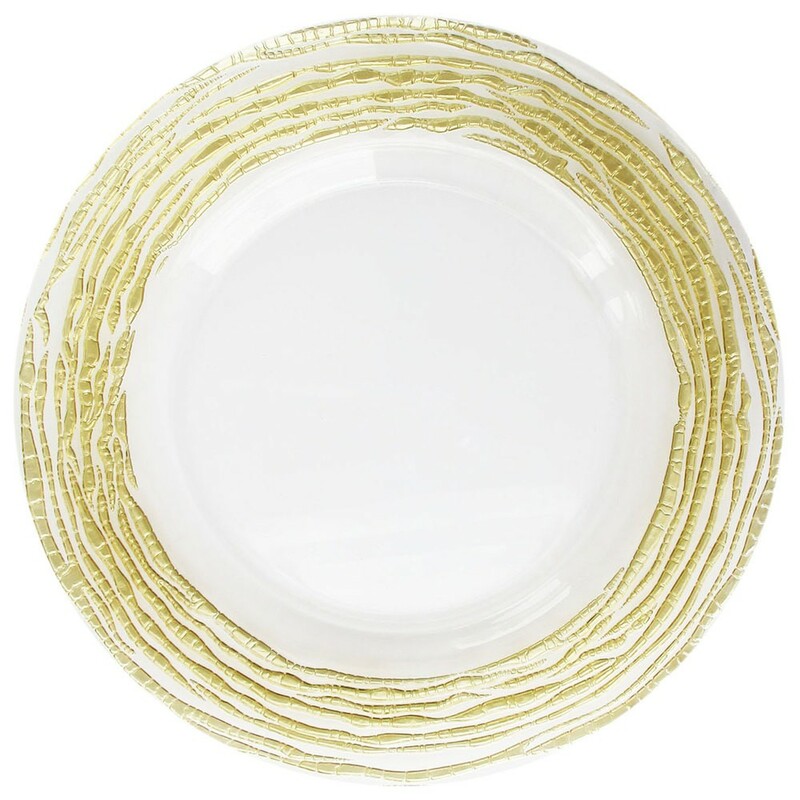 This charger plate is accented with a clear and gold swirl finish around the edges, that easily complements any decor or dinnerware collection. Made from premium quality solid glass, this charger plate boasts unbeatable durability and longevity. To keep this luxurious charger plate in excellent condition, hand washing is recommended.